I love a good sale. Who doesn’t? I have been faithful to some of my sample sales for five years and will NOT miss the sale under any circumstance. I will share all this information with you too. Don’t ya worry. 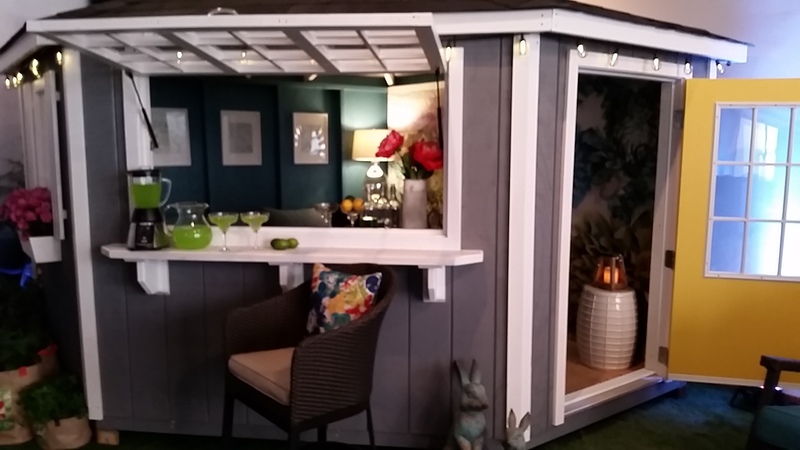 I’ve heard of a Man Cave before but I’ve never heard of a She-Shed till I attended the Lowes Spring/Summer Media Preview. The concept of a She-Shed is nothing short of brilliant. A relaxing shed designed for women – complete with soothing colours, comfy pillows and magazines. It took me a nano second to jump into the she-shed and make myself comfortable. At the preview I noticed a few other items that are now on my “dream-list”. 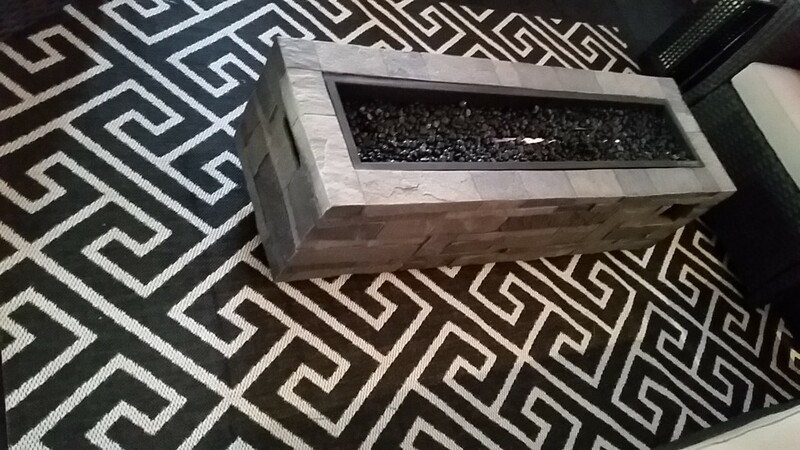 For example, this rectangular fireplace caught my attention. 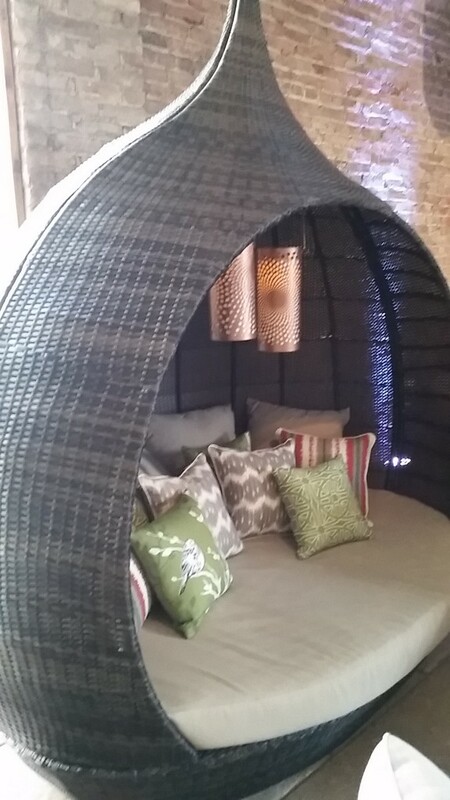 Not to mention this STUNNING cabana. 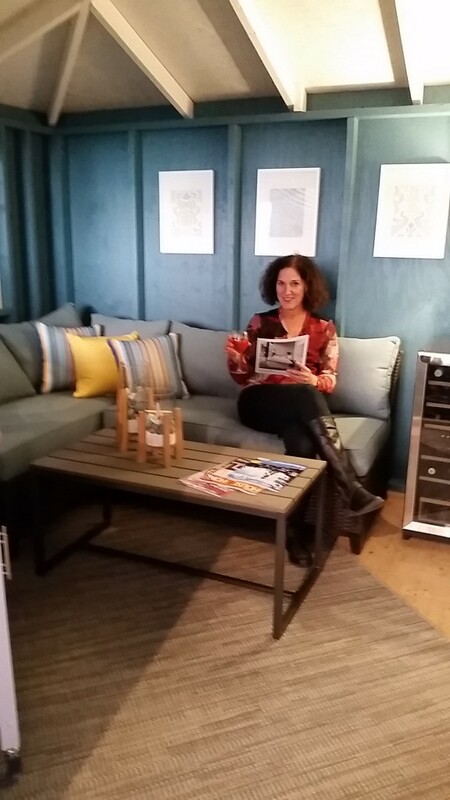 Patio trends for the 2016 season include: Nautical, Natural Beauty, Culture Trek and Recolonial. 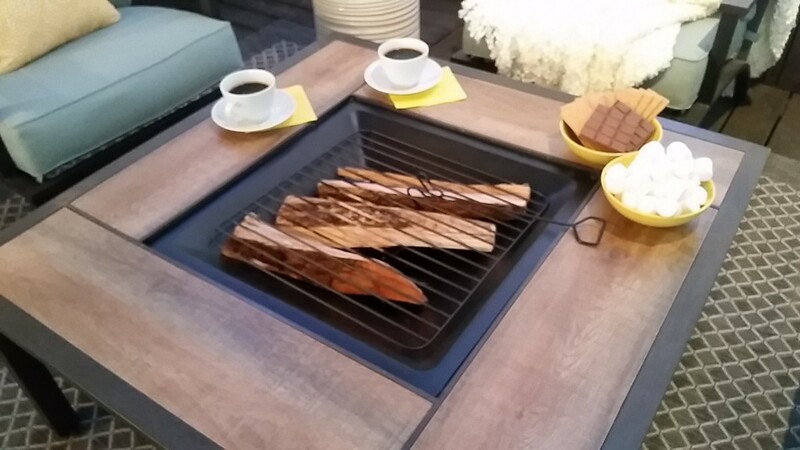 Please click on this link here to find out more about Patio Trends at Lowe’s. Also feel free to follow them on social media! 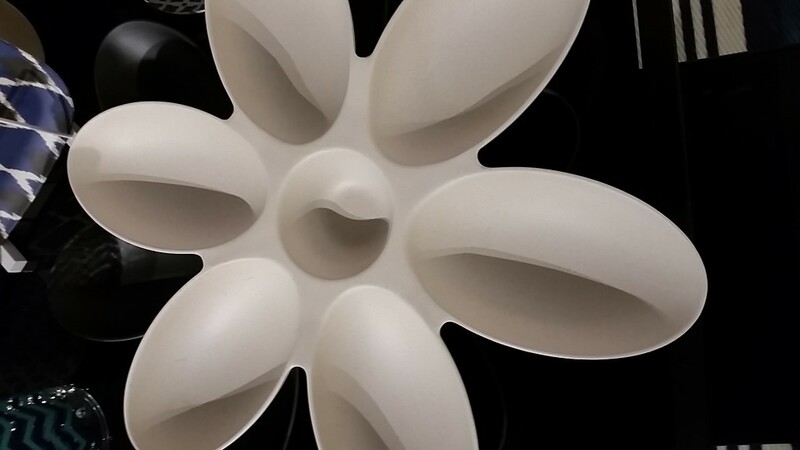 I’ve recently discovered a few new items that I would like to share with you. Believe it or not, they are not food related items. Surprised ya, right? These are items that can now be found in my bathroom! (still surprised, right?). This hair brush is pretty awesome. Its light weight and I like how it “feels” in my hand. 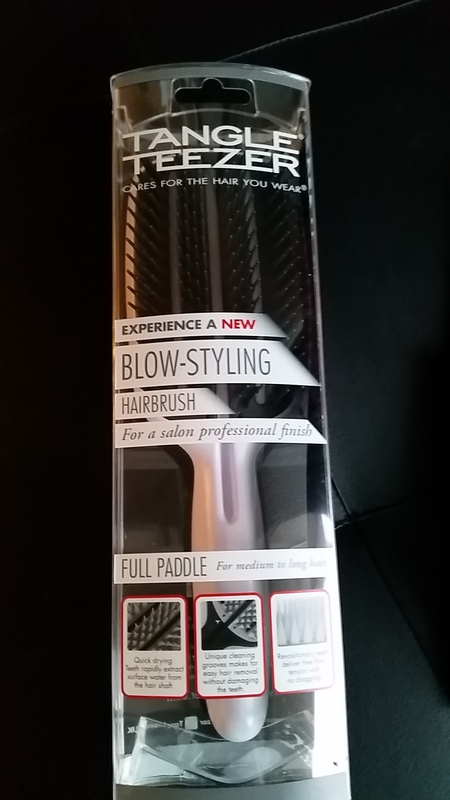 No joke… they spent two years of research and development to develop this brush. Say good bye to those eye remover products. All you need is this amazing product and some water. 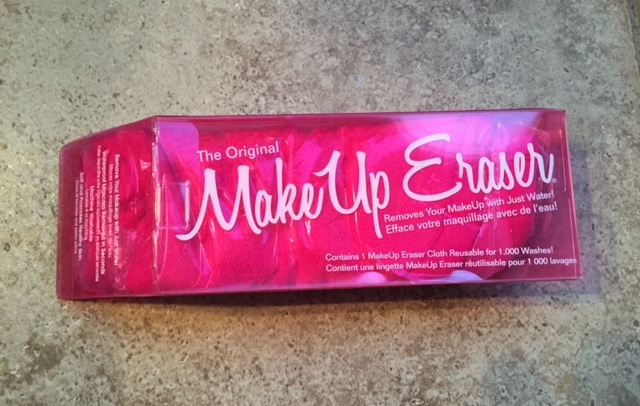 Bingo – my make up is now removed. 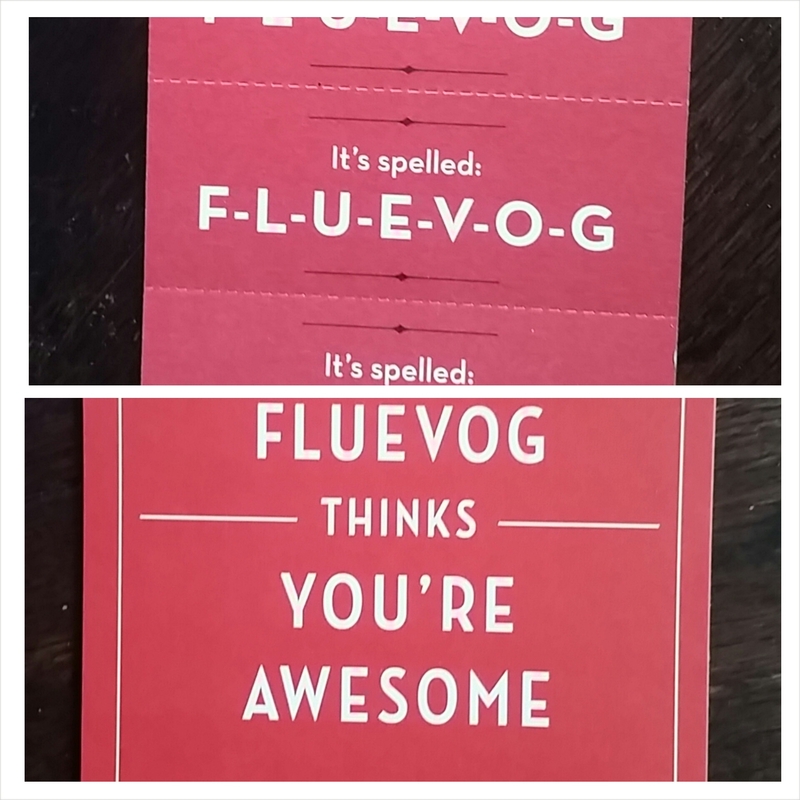 This product was given to me as a gift and indeed it was the perfect gift for me. I’m now packing this magical product on all future trips. True Story: I left it at a hotel en route to New York and on the way back I returned to the hotel to pick it up. That’s how much I like this product. My sister (who also has curly hair) is a curly-hair-product– maven. I really do trust her when she says “buy this”. So I bought it (as did my cousin who was visiting from overseas) and let’s just say that my curls are very very happy. 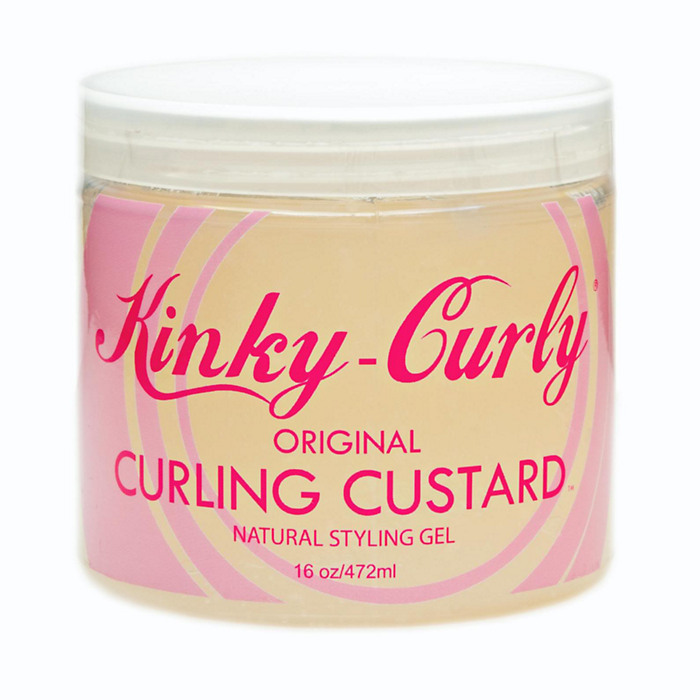 The conditioner does magical things with my knots and the custard keeps my curls ..curly without frizziness or feeling stiff. Hope that makes sense. 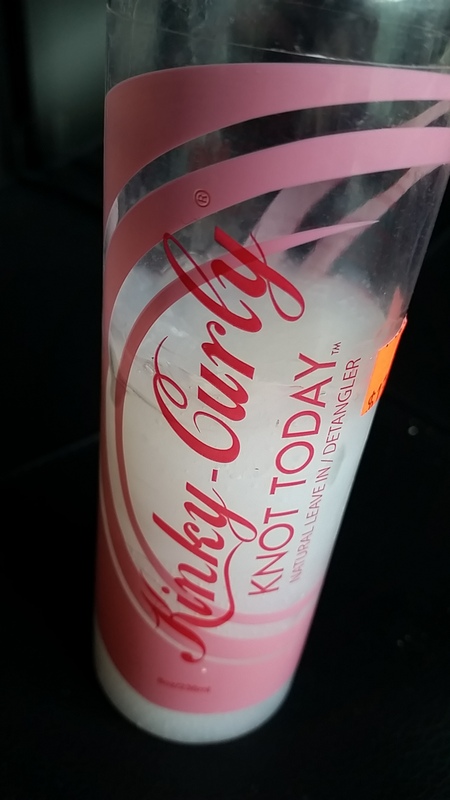 If you have curly hair you will know exactly what I mean. 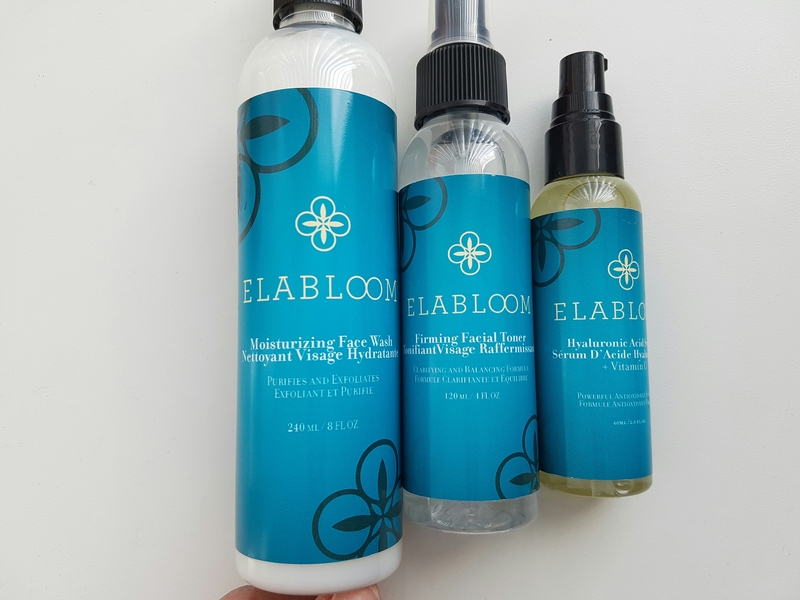 ELABLOOM was founded in 2011 by two partners that recognized the need to develop quality, affordable personal care products in the marketplace. So they created a lineup of unique products for your face and body. Lately I’ve been using a few of their facial products and I like how they smell and I like how they feel on my face too. Have you discovered any great beauty product these days? Do share. Disclosure: some of these products were provided to me, however all these opinions are my own. a) My kitchen has been in the process of being renovated since Feb. 10th. 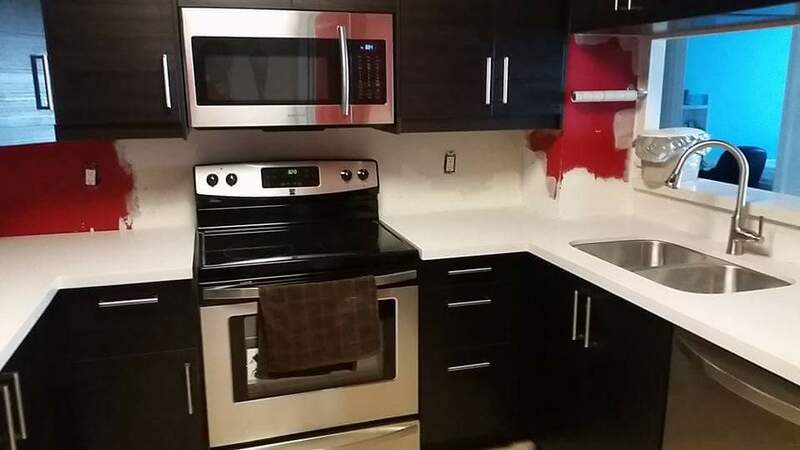 Last week the counter, sink and faucet were installed and let me tell you – this was a big deal as I had been washing dishes in my bathroom for 3 weeks. Still need to decide on the back splash and the paint colour but I’m 98% done and I’m really (really) happy with my new kitchen. 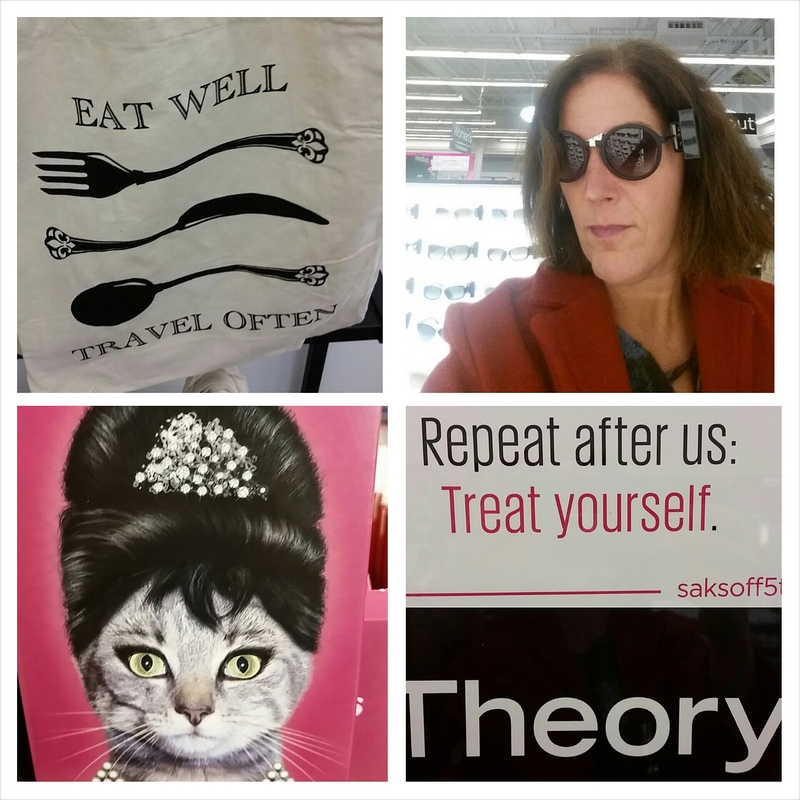 b) I went to the Saks Off 5th VIP Preview Party at Vaughan Mills. What made this event special was the fact that my daughter was the first customer (insert applause). Super impressed with this store…brands/price/selection and will definitely return to Vaughan Mills again. c) It just dawned on me that I need to get my snow tires removed. So much to do and so little time. 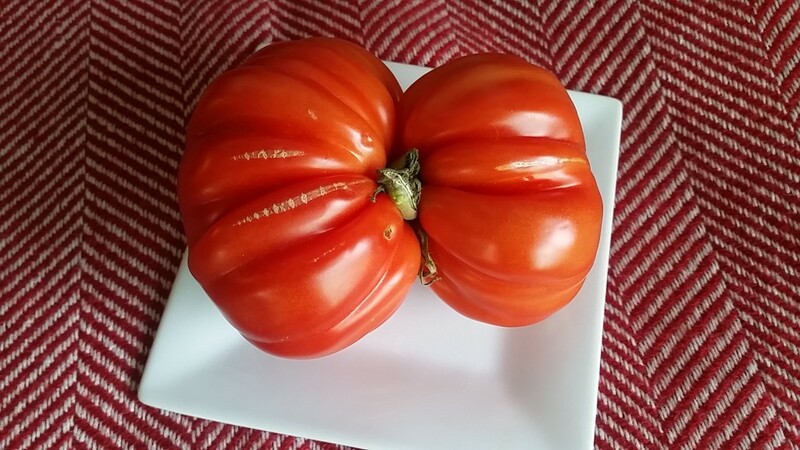 d) I bought this heirloom tomato (for slightly over $5). I normally am pretty careful with my $$ but I was excited when the store owner told me that it was his first shipment of the season and just bought it without thinking. I’m going to cut it up over the weekend and eat it with St. Albert Cheese Curds. Not a bad plan, right? e) I’ve successfully pre-planned my upcoming birthday weekend and will be heading to Niagara Falls to do something I’ve never done before. Believe it or not, I’ve never stayed overnight in Niagara Falls. Now I can scratch that off my bucket list. Stay tuned for a blog post. f) I’ve been planning a dinner crawl with another foodie couple for Saturday April 9th. 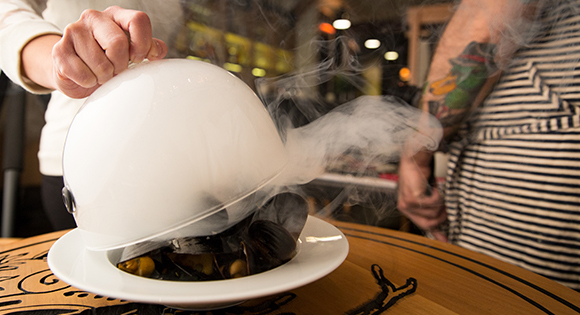 The plan is to head to Boralia for mussels, then hit Wenona Craft Beer Lounge for BBQ’ed meat (and craft beer, of course) and then head to another restaurant for dessert. I can’t wait. g) Finally got a PVR and can’t wait to start taping The French Open. I’m-a-tennis-junkie-and-I-am=proud.. #lifechanger. The question is WHEN? LOL. It felt like the right thing to do seeing as I spend quite a bit of time on the roads as a sales rep. Plus I understand that I can save money on my insurance if I have winter tires. (note to self: call my insurance provider tomorrow). 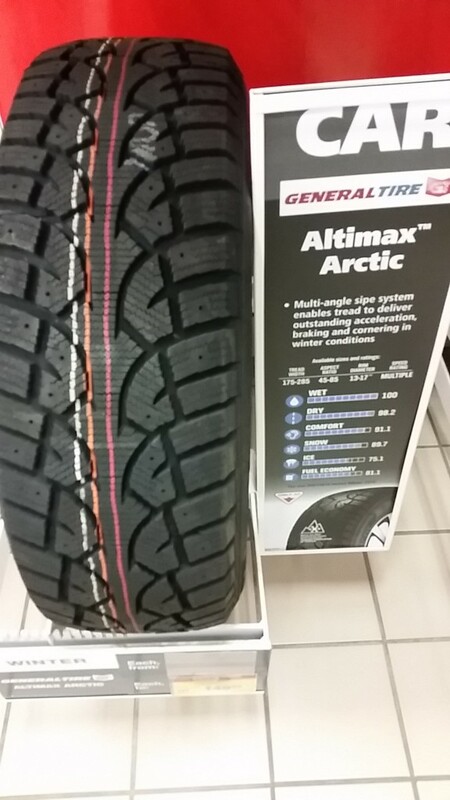 I explored getting my winter tires from Costco or getting my tires from Canadian Tire. 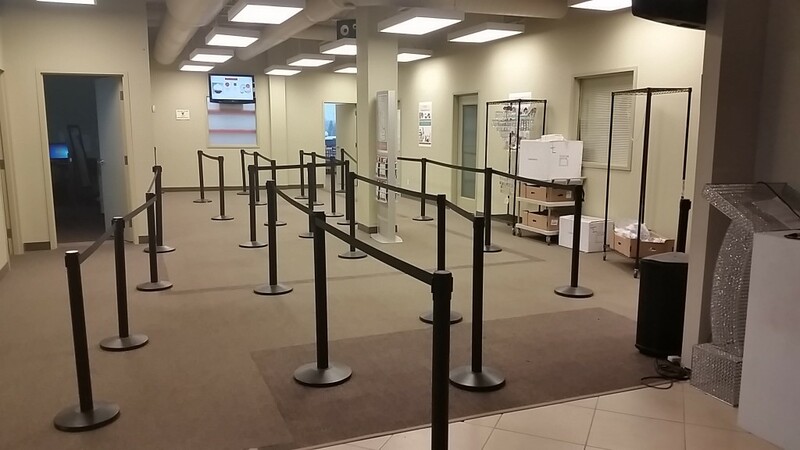 -I approached the friendly clerk who told me that I had to go online and book an appointment or come back at 6:30 am. Here’s what happened at my local Canadian Tire (Lawrence and the Allen). -I approached the friendly clerk who told me he could change my tires on the spot. Guess who got my business? I left Canadian Tire in less than an hour with 4 new winter tires on my car. Seeing as I’m writing about Canadian Tire, I want to mention that I’ve had several great experiences buying merchandise at this store. For example: During the summer, I bought camping equipment and a few things I needed from their kitchen department as well. Thanks Canadian Tire for providing such great service. I’m seriously loving my new winter tires. I’m a huge believer in purchasing items second hand. At one my point in my life, I even owned a children’s consignment store). 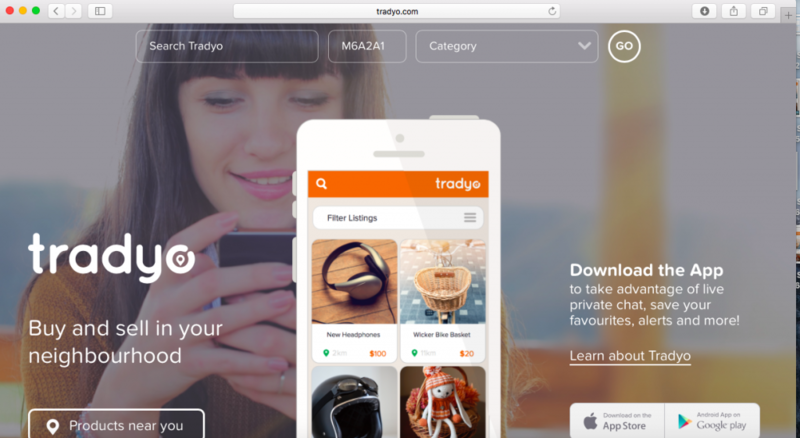 Recently I was introduced to Tradyo, which allows you to buy and sell locally, and communicate via in-app chat engine. I really think that this chat engine is a cool feature!! 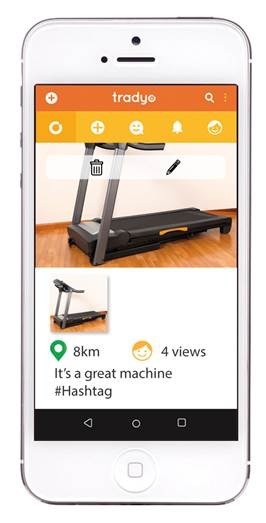 Users can also set alerts for the items they are looking for and set the distance they are will to travel to get the item. #loveit. Even better? Tradyo has one of the first VIDEO listings tool. Users can make 15-second video ads, demonstrating the usability and quality, of the items want to sell. Seriously, Tradyo has thought of everything. They even have an app for iPhone and Android users (that’s your cue to go download the app now). I don’t know about you but I’ve got probably a dozen items that I could post at the moment. Stuff that’s just sitting around that I’m not using and just taking up space. Know what I mean? 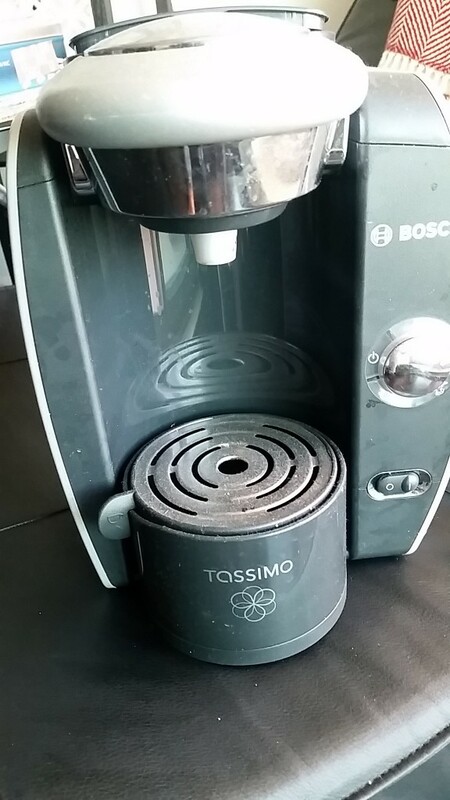 For example, my Tassimo hasn’t been used in years. 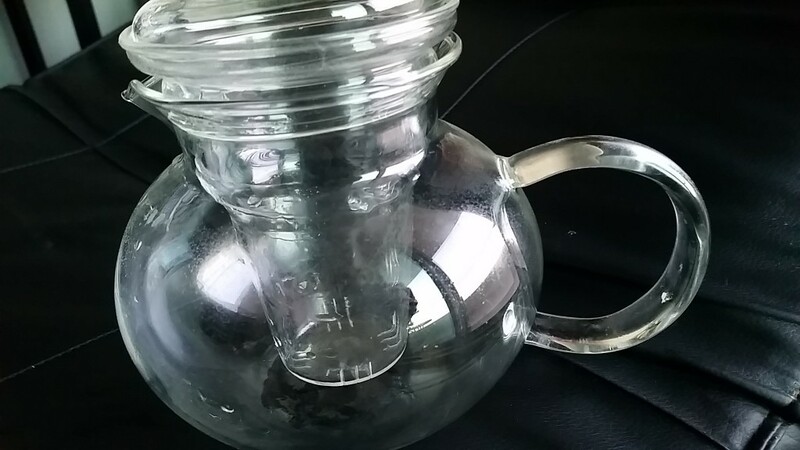 This glass tea pot that I bought on the Shopping Channel a decade ago (total impulse buy) hasn’t been used in years either. In fact I’m pretty sure I only used it once. Disclosure: I have been compensated for this post, however all opinions are my own. 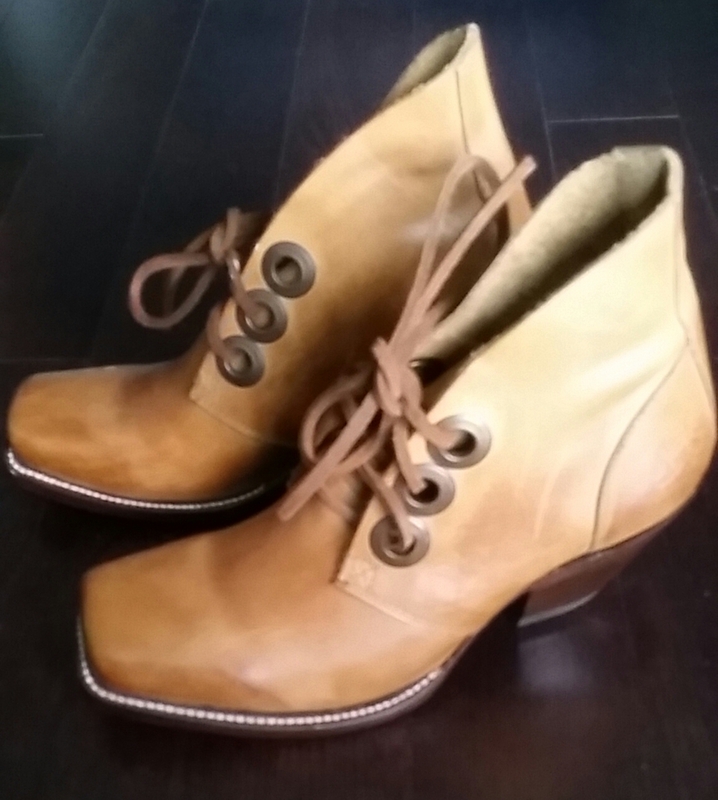 I Finally Bought a Pair of Fluevogs. YAY. 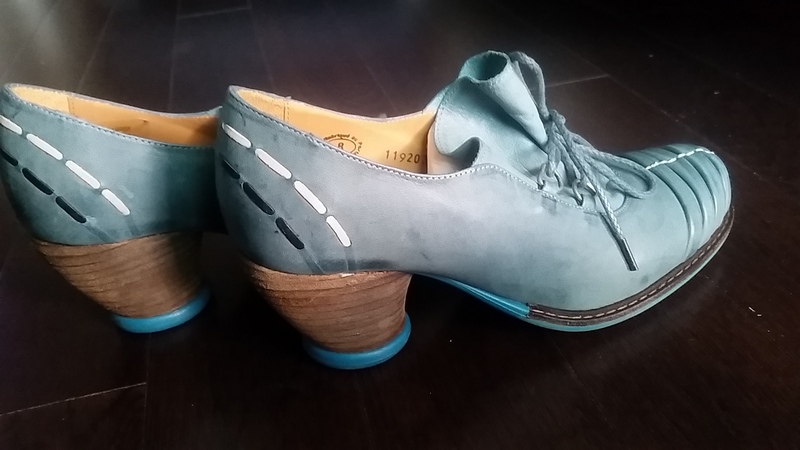 A few years ago, I discovered Fluevog while walking thru the Distillery District. I was instantly a fan. I knew that one day I would own a pair and guess what? This past week, I not only bought one pair but two pairs!! I found out thru Social Media that they were opening up a new store at 686 Queen St and that there would be some additional savings over the weekend. I’m all about savings so I put it in my calendar to drop by the new store. I’m in love with the colour, the laces, and the entire design of the boot! Seeing as I found a boot, I had to find a pair of shoes to purchase too. Don’t you love how I rationalize my shopping purchases? I love the heel, the colour and basically everything about this shoe. 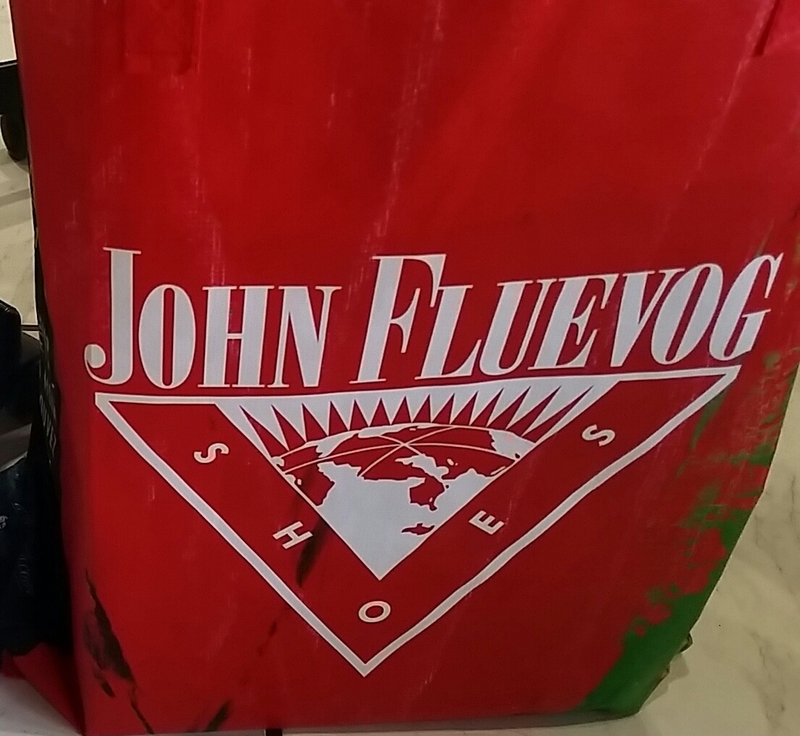 Here’s more about the Fluevog story: John Fluevog is an independent designer and retailer of forward thinking footwear, since 1970. There are Fluevog stores in Chicago, Boston, New York, Vancouver, Montreal, Ottawa, Denver, Washington, San Francisco…and the list goes on!! I think Spring is around the corner! 🙂 There’s evidence that the snow is melting and this makes me smile!! I’m also happy to report that Spring has arrived at Loblaws too! 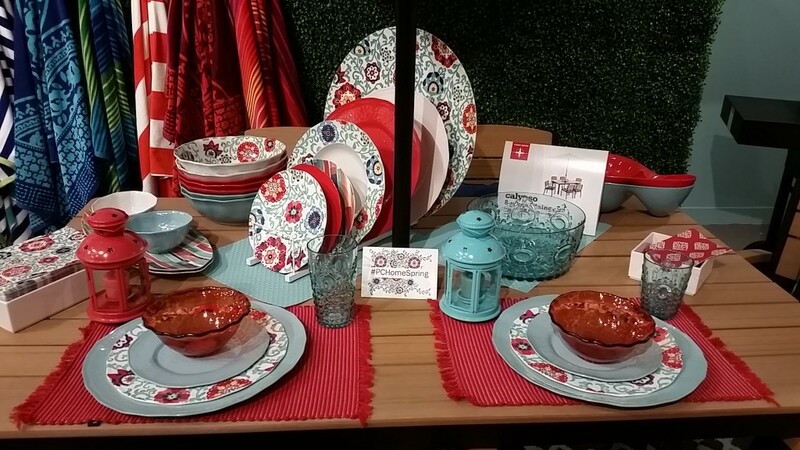 Soon you will see these gorgeous Spring items on the shelves. I don’t know about you but I really think PC, Life at Home and Everyday Essential products, nail it when it comes to price point and design. I have a feeling know I will be purchasing these items, very very soon! a) Yes – these plates have my name on them! Sooo pretty. Soooo colourful. b) See this black table? 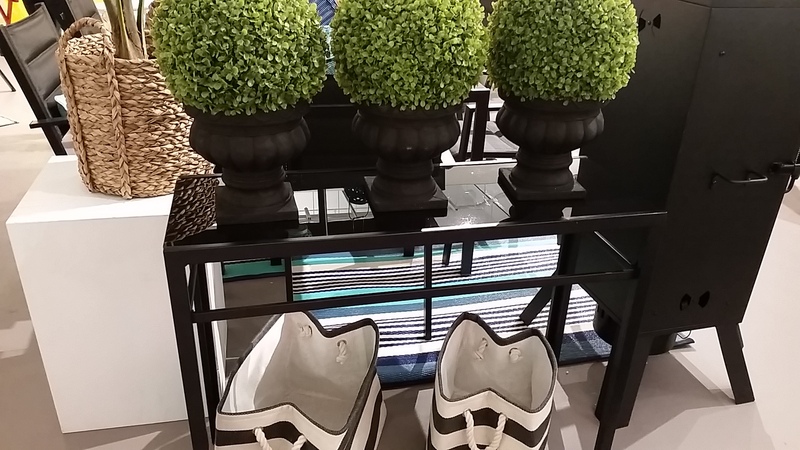 Well it’s $69 and the perfect size for my balcony. Not to mention it will come in handy as a buffet when I entertain. c) This water bottle is the perfect size for me to DRINK MORE WATER. 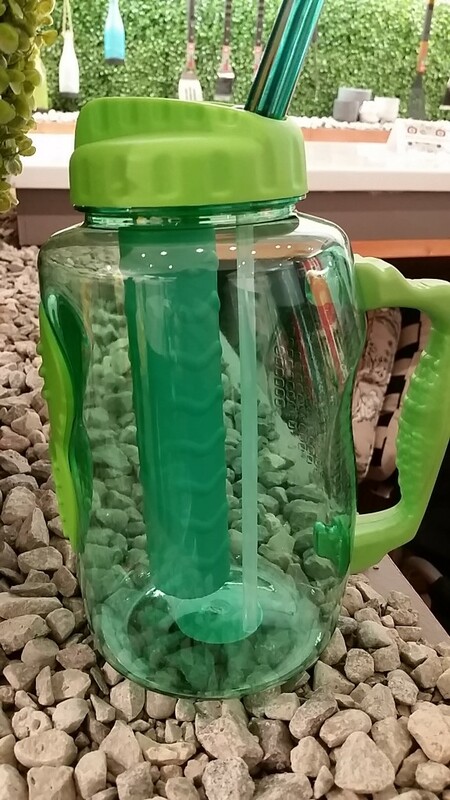 I love the handle, the size of it, the giant straw and the fact that it will keep my water cool too. d) Last but not least, I adore this platter. It’s perfect for taco night. Each container will soon be filled with sour cream, chopped lettuce, salsa, guacamole, shredded cheese and black beans. Hope you have as much fun shopping for PC products or Life at Home products as I will. See you at the Real Canadian Superstore!! 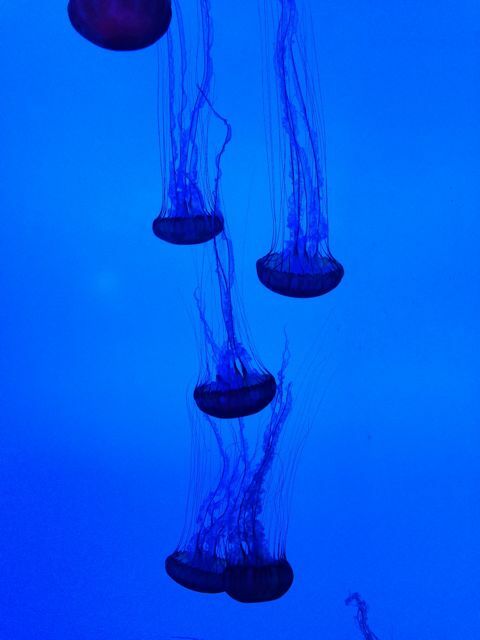 FOR ANYONE: A Gift Card or A Membership to Ripleys Aquarium. This is one special attraction that is sure to delight any one at any age! PS they are opened all year long. Did you know that? 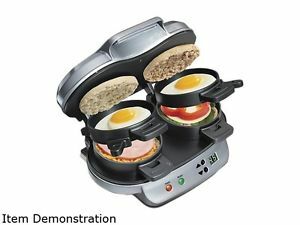 FOR THE BUSY MOM: May I suggest the Hamilton Beach Dual Sandwich Maker? Just put in a few ingredients, plug it in the wall and push a button. After a few minutes you will have an amazing warm and satisfying sandwich. 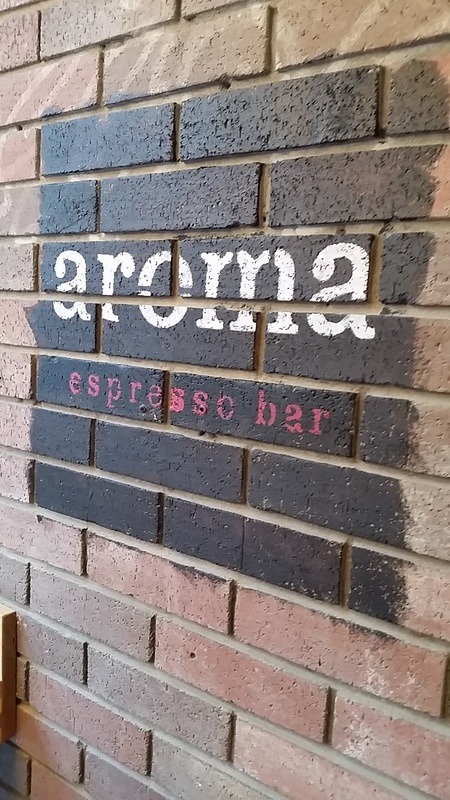 FOR THE STUDENT: What about a gift card from Aroma Espresso Bar, for their decadent hot chocolate or delicious sandwiches? Can’t go wrong. FOR YOUR PARENTS: a customized photo calendar. I’ve done this several times and it’s ALWAYS a hit. FOR YOU..hee hee..nothing like treating yourself. (I’m a big believer, can you tell?). …can you say SPA? What are you waiting for? Just go. Some of my favorite spas include: Body Blitz, Ste. Anne’s and Healthwinds. PS the Korean Family Spa is open all year long. FOR THE PERSON WHO HAS EVERYTHING: Just head to www.Etsy.ca .there is something for EVERYONE on this special website. FOR THE TECHIE: I’m in love with my Samsung Galaxy S5 and they will be too! I switched over from my iPhone 5 in a nano second and haven’t regretted the decision. Best features: the camera rocks and the fact that I’m not required to put in a password when downloading a new app or music is a HUGE bonus! 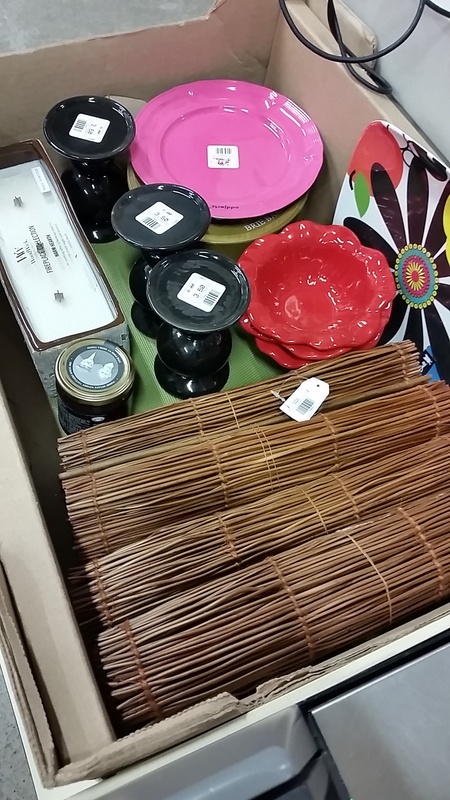 I finally went to the William Ashley Warehouse Sale. Hip Hip Hooray!! Many of my friends have gone to this sale and now I know why! 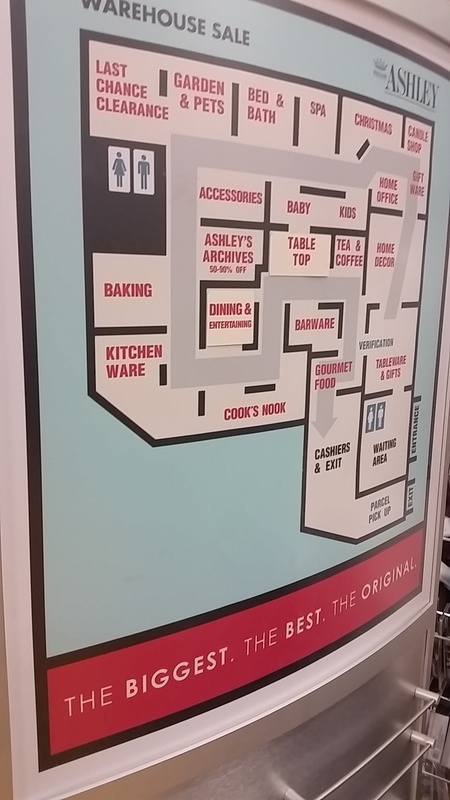 This year they’ve moved to a bigger space that features 30,000 square feet of shopping, with over one million items up for sale. 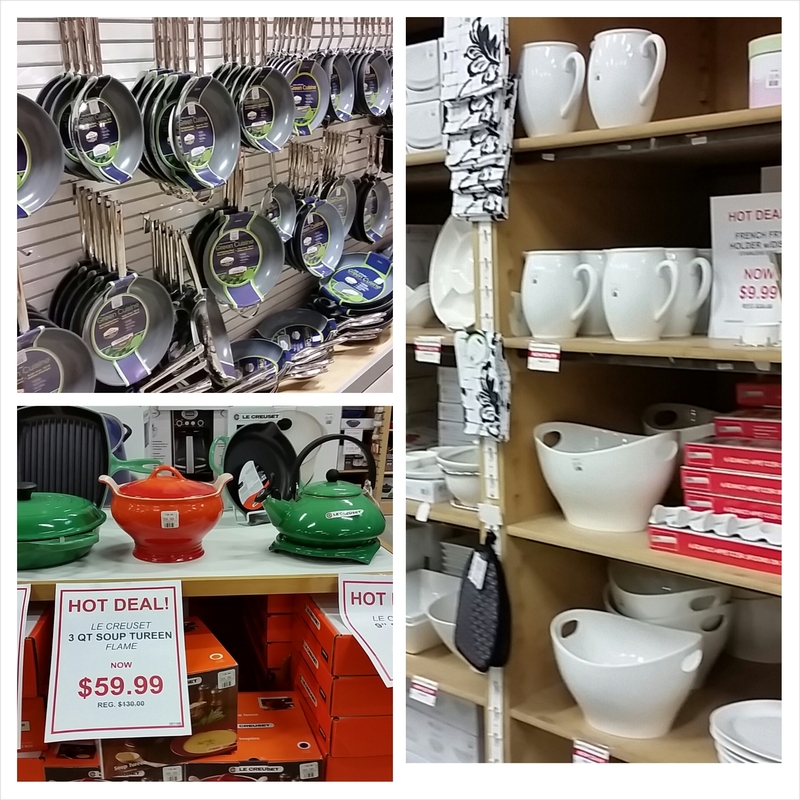 There’s more to the sale than William Ashley’s signature china and dishware – there’s home décor, fashion items, candles, bath toiletries, even gourmet food. See what I mean? Take a peek at the layout…. This new location has another bonus! Shoppers get to wait inside – and not in a heated tent! I walked thru the aisles and saw SO many different items that I wanted to purchase but all I kept thinking was “where am I going to put it”. It wasn’t easy to decide what to buy. But I did it!! -a brie maker (again for the cheese fondue party). -candle holders that I know Im going to enjoy. One can’t have enough candle holders, right? Hours: Tues, Wed, Thurs, Fri. 10 am to 9 pm, Saturday and Sunday 10 am to 6 pm. THIS IS THE FINAL WEEK! #Justsayin…. I’ve been wearing the same running shoes since 2011 (here’s the blog post that was written in Feb 2011 ). I can’t believe I haven’t bought running shoes since 2011. Can’t explain it. At. All. So last week, I went to Sport Chek (2529 Yonge St, 416 932 9604) to fix this problem! 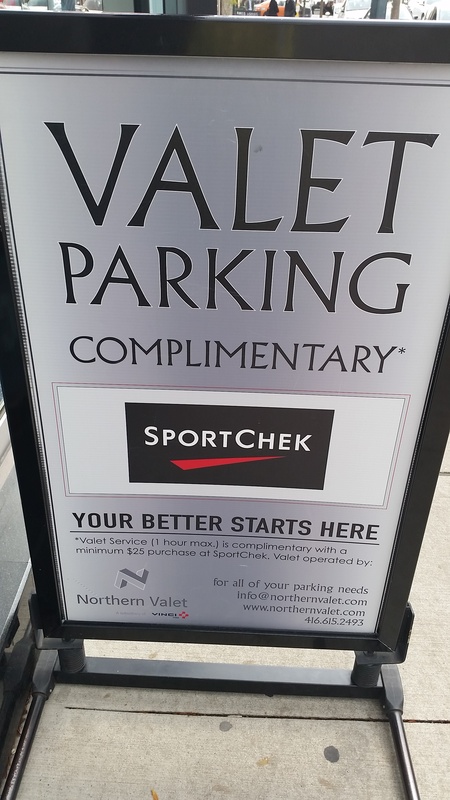 I was super excited to hear that there’s two hours of complimentary VALET Parking available at this particular location. Sweet. 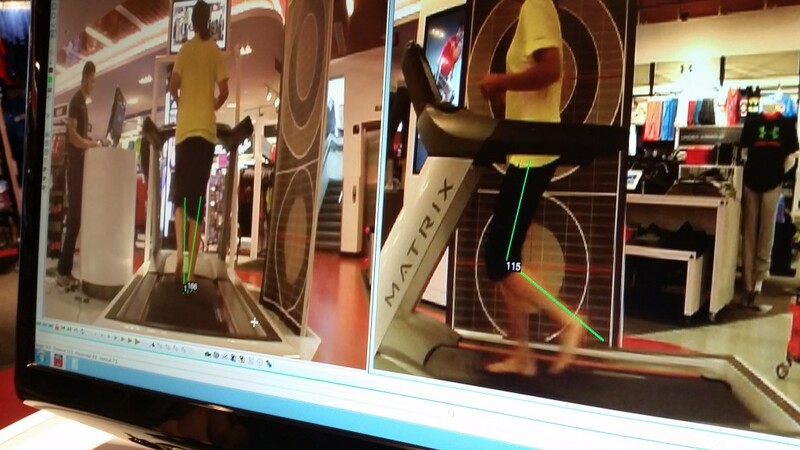 I was also excited to try out their FREE GAIT ANALYSIS. I’ve never done this before but it involved running (barefoot) on a treadmill for a minute. After trying on three different brands, I finally decided on these new running shoes. (Asics – in the event you want to know the brand). I also walked away with several exercises so that I can run more better and pointers so that I can run more efficiently. 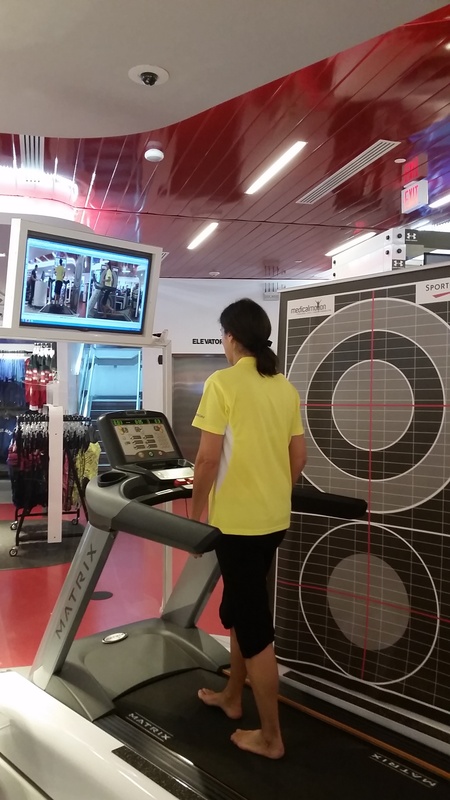 Sport Chek is definitely worth visiting if you are in the market for a new pair or running shoes. Don’t forget them for your holiday shopping needs too! 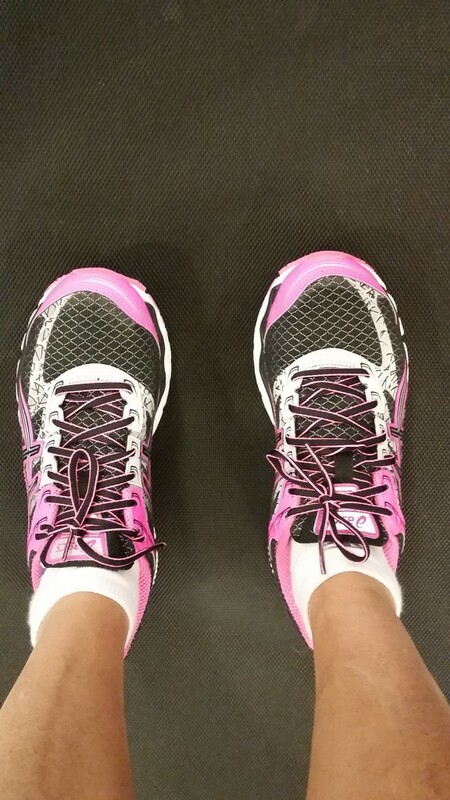 Disclosure: Sport Chek generously provided me with a pair of running shoes however all opinions are my own.